William (Bill) Kenney who owned and operated 50 Kenney Burger restaurants in the 50's to the 80's has been a supporter of Habitat for Humanity since HFHRV's beginning. He was an early board member and Builders Club member and is still active on HFHRV's Building Committee. 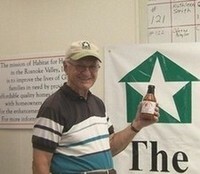 As a fundraiser for Virginia Habitats, Bill is manufacturing and selling his sauce. Profits, after cost of materials, production, freight and store considerations, are donated to a Virginia Habitat affiliate in your area. Kenney's Sauce is manufactured in a government approved cannery under approved guidelines, including health and cleanliness inspections. Sauce should be refrigerated after opening. Shelf life, under refrigeration, is one year. Kenney Sauce is currently being sold at Kroger locations throughout Virginia and soon will be in all supermarkets. 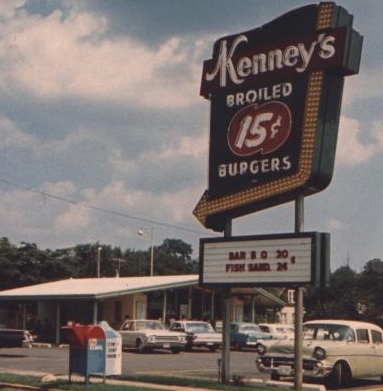 Remember taking a trip to the local Kenney Burger back in the 60's and 70's? Take a trip back in time and make your own! Broil or skillet-fry ground beef (hamburger). 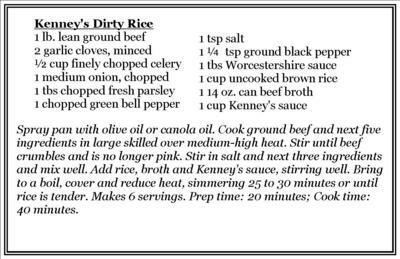 Heat Some Kenney's Sauce in saucepan or microwave. Spread a small portion of Kenney's Sauce on toasted bun, place cooked hamburger patty in sauce, then spread more sauce on the meat. Spread sauce to your own desire but not so much that it falls off on your clean shirt. Place meat on bun and enjoy! Kenney's Sauce can be spread on any cooked meats such as steak, pork chops or pork loin. Heat the sauce before applying to meats. Kenney's Sauce can be consumed over cooked pasta or scrambled eggs.